Enjoy your Wedding, Billings night out or event fun with one of our horse-drawn carriages or wagons. Choose from wedding carriages, group wagons, or mid-size wagons. When’s the last time you had a hay ride? For historic Montana rides and romantic occasions, try our horse-drawn carriage service. 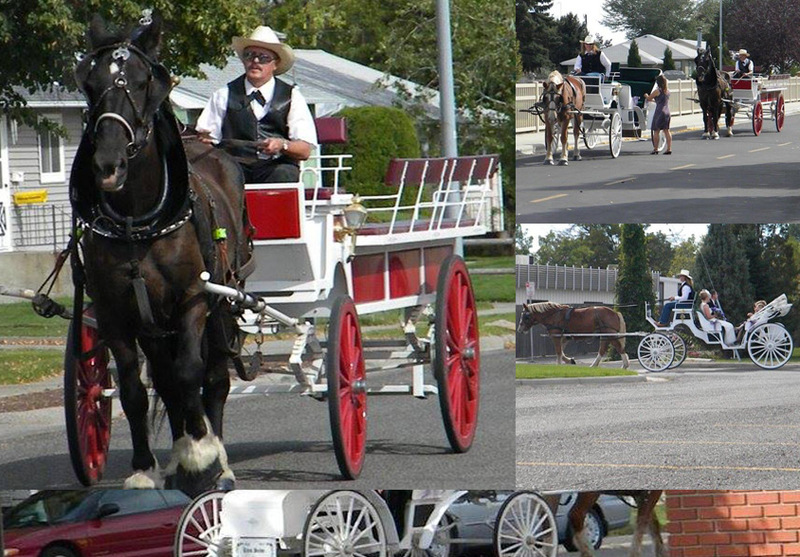 Enjoy a local tour or ride to or from a special event in a classic horseman ride. Hayrack rides are also available for a good ole country drive or for any occasion. We have several carriages to pick from, so let your imagination run wild. How about a carriage ride around the Moss Mansion and historic district, or downtown, or a Riverfront Park cruise on a beautiful evening along the famous Yellowstone River. A classic Horse carriage like this one adds a classic 1800s look and feel to your event. This horse carriage is also available for a specific group ride or tour. 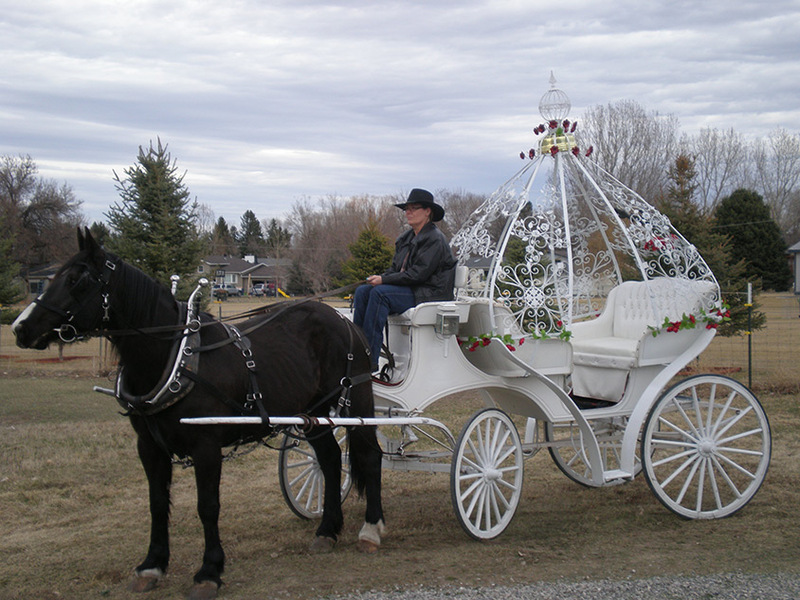 Horse carriage designed for a Billings Wedding ceremony. We have several different styles of horse carriages, and often an event such as a wedding employs all of our horse carriages.